Too many insurance agents who market long-term care and short-term care insurance solutions are neglecting a market with the most significant need according to the director of the National Advisory Center for Short-Term Care Information. “There are millions of women age 65 and older living alone and they are very often overlooked by insurance agents, especially by male agents,” states Jesse Slome, who also serves as director of the American Association for Long-Term Care Insurance (AALTCI). The Association director discussed the issue as part of his weekly update to insurance agents who market a variety of long-term care and short-term care insurance products. “This morning’s Wall Street Journal reminded me of this overlooked market that’s being ignored,” Slome noted. According to a chart and U.S. Census data some 36 percent of women over age 65 lived alone in 2015. Only 20 percent of men lived alone. 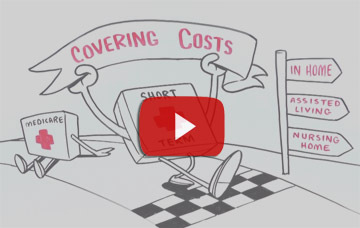 The Association maintains various websites where consumers can access information and connect with professionals for no-cost long-term care insurance cost comparisons. To learn more visit www.aaltci.org. 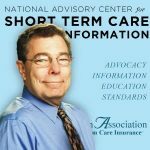 To learn about short term care insurance visit the National Advisory Center for Short Term Care Information at www.shorttermcareinsurance.org.